The Soaring Eagles once again gather to carry on their tradition of dancing through the summer on Indian land. 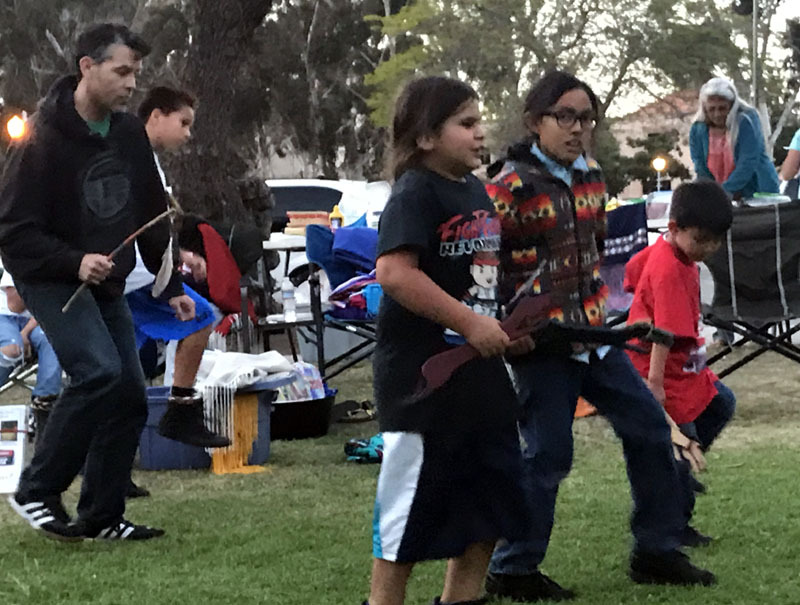 We take advantage of the opportunity to gather outdoors during the summer season, that time when schools take a break and the evenings are usually long and warm and we can gather as a family and share a meal together and the children can enjoy being together following Indian ways on Indian land. The area we meet at has supported Tribal people for thousands of years. Local Kumeyaay have had village sites along these canyons and mesas forever. We appreciate the opportunity to join them here again. This evening is unique because we can see the seeds of our Indian music, dance, respect and spirituality being introduced to new sets of families and very young dancers. 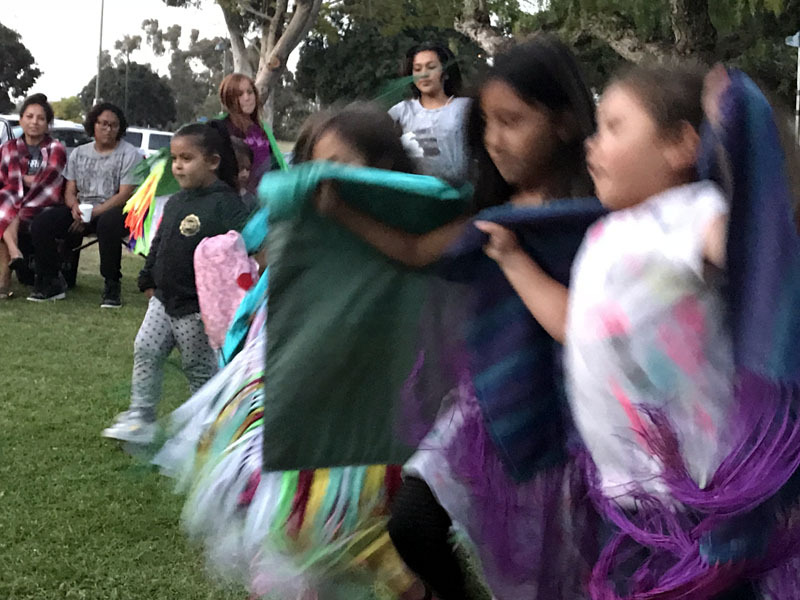 We are empowered by the reception and pow wow trails traveled by past youth and parents in the Soaring Eagle experience. We can all share in our pride of culture and dancers achievements. Our young dancers take the opportunity to practice steps and refine their dance moves. 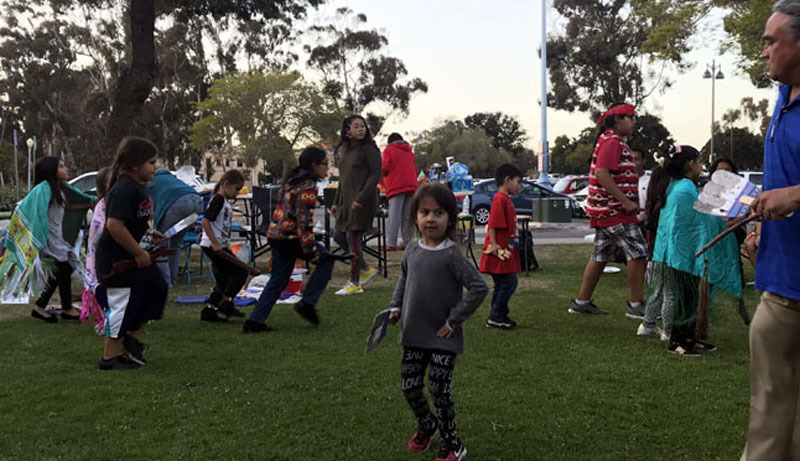 Many have danced each weekend since the Balboa Park Pow wow where many dancers 'came into the arena'. The calendar remains full with pow wows most weekends through the summer. Several new families have joined us and we welcomed back families who are now bringing the next generation into the circle. 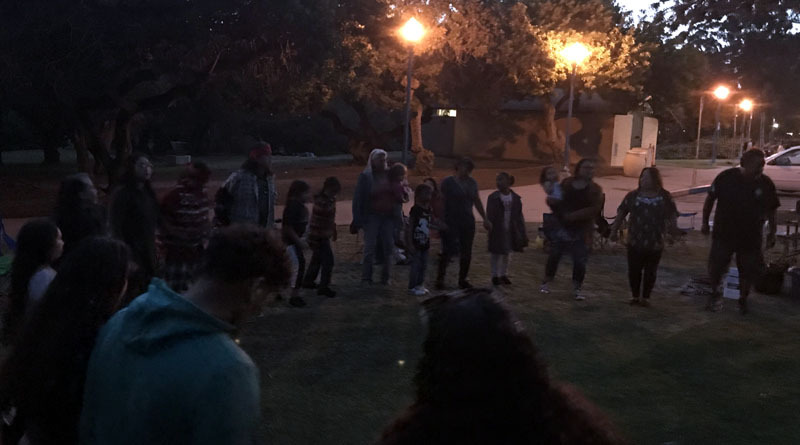 Smiles all around and we finished out the workshop with a full circle Round Dance under the lights. The Soaring Eagle youth program is all about the children. 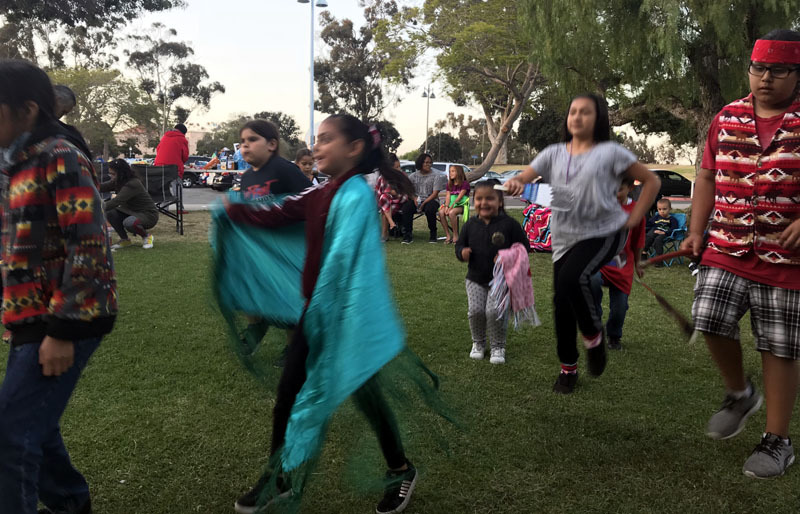 This quality of dedication was evident in the initiative, joy, pride of tribal identity and participation from beginning to end of the parents and children of the Soaring Eagles.